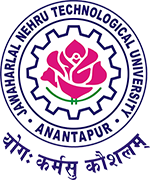 JNTU Ananthapur University has released the Notification about bakrid Holiday and Postponed the Exams on that day. Check the Notification Below. In view of Bakrid (Id-Ul-Azha), the Government of Andhra Pradesh has declared 25.09.2015 (friday) as holiday. All University Examinations scheduled on 25.09.2015 (friday) are postponed and are rescheduled as indicated below. The Principals and the students concerned are requested to note the same..